Art & Soul Events 2017 Wedding Planning Highlights! 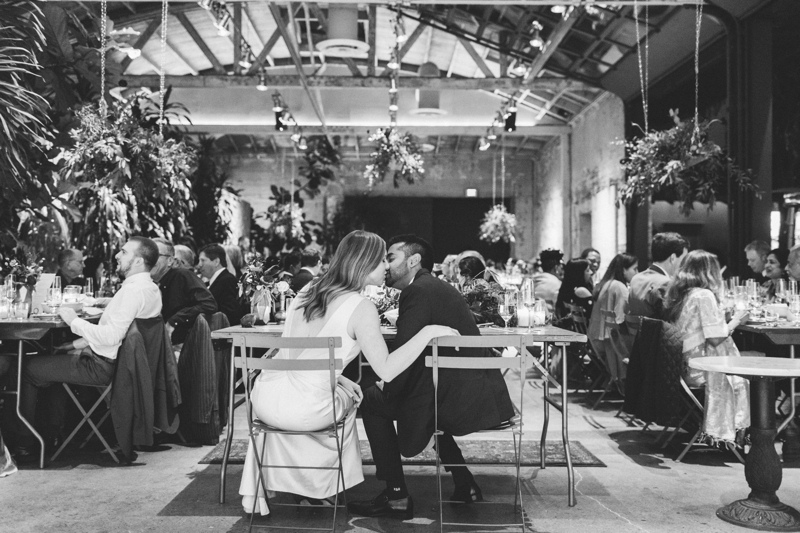 Top 5 Los Angeles Wedding Venues, Favorite Bouquets, and Best Wedding Songs! It's been another incredible and busy year over here at Art & Soul Events. I want to thank ALL of my amazing couples for entrusting me to plan, design, and manage their weddings. I am so grateful that I've been able to work with bold, kind, and creative couples in dreamy venues! Wedding planning is a collaborative process and I couldn't pull off these events without the collective support of my wedding vendor DREAM TEAMS! I'm switching up my annual recap format this year to highlight some of my favorite Southern California wedding venues, wedding bouquets, wedding favors, wedding altars, wedding cakes, and wedding songs! I'm still waiting to get photos from many of my fall/winter weddings so they are sadly missing from this post. I'll be working on blogging my 2017 weddings in January and February of 2018, so I will have much more detailed information to share soon! Make sure to scroll all the way to the bottom for my pinnable Wedding Song List and to read my thank yous. The Paramour (often referred to as Paramour Mansion or Paramour Estate) is perched at the top of a steep hill on Micheltorena Street in Silverlake, California. The grounds are absolutely beautiful with sprawling lawns, a beautiful garden, a pool, and one of the best views in Los Angeles! The inside of the estate is full of surprises too. It has a dark and moody charm with a purple ballroom, jewel-toned decor, and large taxidermy animals throughout. Heather + Jacob // Photographer: Mandee Johnson, Floral Design: Hello Honey Flower Co.
At The Ruby Street, not a detail has been missed! Originally built in 1895 as a Chruch, The Ruby Street has undergone a complete restoration and is now one of my favorite Los Angeles wedding and special events venues. The interior space is over 4,000 square feet, it has a huge outdoor area with a large outside bar, and the rental comes with custom tables and chairs! Art & Soul Events is proud to be one of Ruby Street's preferred Wedding Planners. 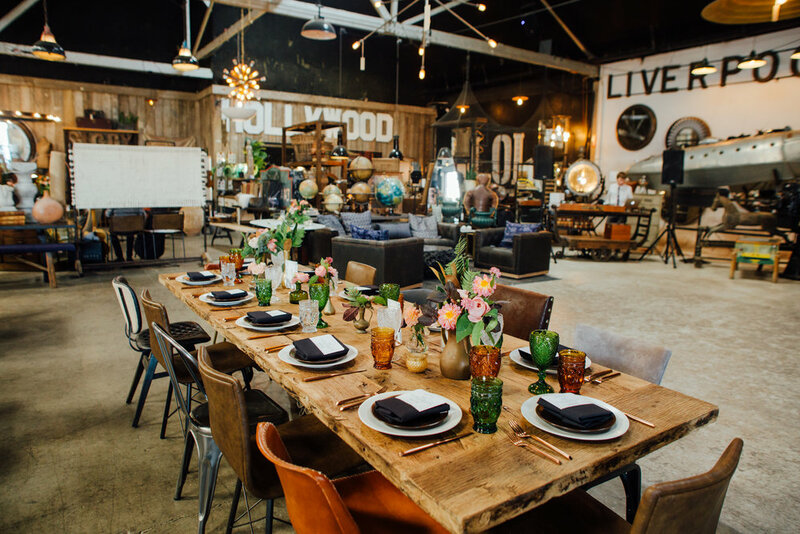 Big Daddy's Antiques is the perfect venue for an artsy, edgy, eclectic couple! When you rent Big Daddy's Antiques, you get the HUGE perk of being able to use ALL OF THEIR AMAZING FURNITURE! They have an indoor area and an outdoor area and a million secret nooks that have been perfectly styled. You get access to all of their chairs, tables, bars, lounges, arches, and more! The inventory is constantly changing as things sell, so two weddings will never look the same. Millwick is one of those places that is designed so thoughtfully, that even if you didn't bring any decorations, it would still look amazing! Millwick is one of my favorite places to work in Los Angeles. They have a beautiful outdoor area for a ceremony, a large a built-in jungle-themed bar, a kitchen and bar prep area (woo hoo to that), tables and chairs to seat 150, a dance floor, a beautiful bridal suite, 4 private restrooms, and the nicest staff you could ever hope for (really, is there anyone nicer or more helpful than Dana Strommen?!)! I had the pleasure of teaming up with Laura Ford Photos for our bold and moody Rock-N-Roll Wedding Editorial at The Fig House. I designed the shoot around the idea of a cosmic, "out of this world" love story and the color palette was inspired by Amira Rahim's paintings that hang on the Fig House Walls. I wanted to play off of the color and richness of The Fig House while adding some darker tones, mixed metallics, and texture. 29 Palms Inn is one of my favorite destinations for a desert wedding! You can buy out the Inn and have your friends and family stay on property all weekend. The Inn has a restaurant, live music around the pool, and morning yoga to name a few perks. Samantha + Miguel had a desert glam wedding under the stars with an incredible dance party! Julie + Shane had a laid-back desert wedding at Rimrock Ranch in Pioneertown, CA. Their guests ate delicious tacos from border grill, danced to great music, and had fun taking photos in a VW Photo Booth Bus! I really got to have some serious design fun with this one and Julie was a dream bride. The custom ceremony arch set between the yucca trees is one of my all-time favorites. I have had the honor of working with some of the most talented and innovative floral designers in Southern California. When it comes to design I like big, bold, textured, and whimsical. Here are my favorite wedding bouquets of 2017 (that I have received professional images of so far). Nicole Bakes Cakes, created this 3-tier metallic gold drip cake for Sarah & David. I had a slice of the Oreo layer and it was absolutely INCREDIBLE! This image was my most saved Instagram post of 2017! Elise Cakes created this stunner of a cake below. She ran with the cosmic "out of this world" love story and gave us a showstopper cake! This beautiful 3-tier beauty for Rachael + David was the best tasting Vegan cake I have ever tried! Well done Top Tier Treats! Paige + Scott collected over 150 vintage salt & pepper shakers for their CBS Studios wedding! Paige spent a year on the hunt, collecting these unique favors for her guests. Paige + Scott's guests were encouraged to trade shakers with their neighbors and we had an overflow table of extra sets where they could exchange shakers. These custom playing cards from Heather + Jacob’s wedding were some of the most original favors I’ve ever seen. Take a close look and you will see King Jacob and Queen Heather on this custom card deck! Co-designed by the groom, Jacob! The dinner reception area smelled so good as Samantha + Miguel's sage sticks wafted in the desert wind! 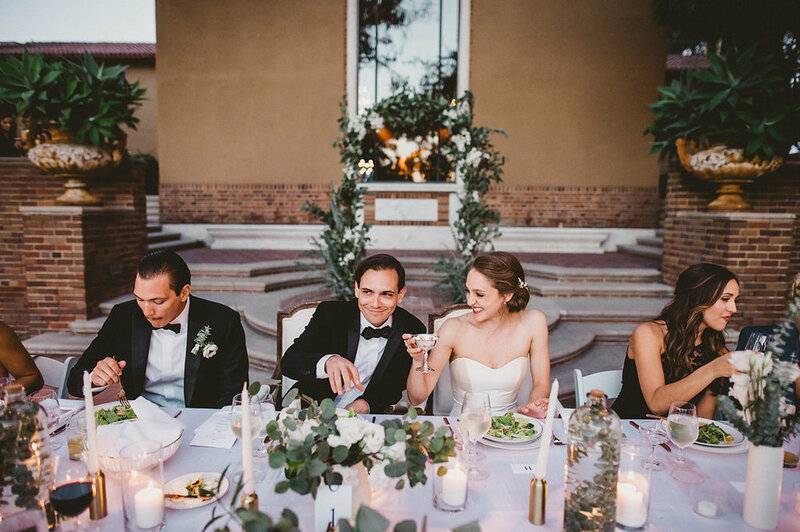 Tricia rocked a Stella McCartney cape dress at her Houdini Estate Wedding. She looked like a fierce ethereal goddess! Frances rocked a high ponytail, white sheer gloves, a high- low wedding dress at Eagle Rock Center for the Arts! Sara + Jeff looked like glamorous Old Hollywood movie stars and their wedding was an Art Deco Dream at Oviatt Penthouse in Downtown Los Angeles. There is no better beauty dream than the fabulous Miss Rockabilly Ruby and Erika Reno Artistry! Below you will find a little roundup of my favorite wedding songs from my 2017 weddings! I can't share them all, but these are the first songs that came to mind when I thought back on the year. Each of these songs either made me smile, laugh, or cry! It has been a BIG year and I can't wait to see what 2018 has in store for Art & Soul Events. Thank you to all of our amazing couples that chose Art & Soul Events to plan, design, and manage their weddings. Your wedding was a BIG DEAL, and I'm so thrilled to have played a role in it!! Thank you to all of the incredible floral designers and photographers that make me look good! Thank you to my "ride or die" vendors that ALWAYS have my back: Thrifted Sister Vintage, Dart Collective, Spotted Hen Catering, La Pinata Party Rentals, Boldhouse, and Planks & Patina! Thank you to Sarah, Nikki, Anna, and Shane for assisting and supporting me when I needed an extra set of hands day-of. Thank you to my amazing mama, Candi, for the countless times she has had my back. She watches Jordan during wedding rehearsals, date nights, and during many of my out of town wedding weekends. She sits in hours of traffic and gives up days of good sleep to be there for me, Hector, and Jordan. I love you mom and I couldn't do this without you and Dad! And last, but not least, thank you to my amazing husband, Hector, for your endless support, for believing in my crazy dreams (even if they are inconvenient or a financial strain, (cough,Creative Haven), and for being the best co-parent I could have EVER asked for! I love you! Happy New Year!! See you in 2018 friends. *To see full additional credits for each couple, please visit my main gallery page.